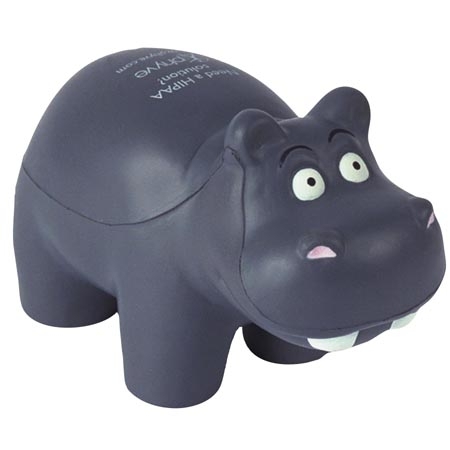 The happy hippo is a great giveaway to imprint your logo or message. Hippo Stress Ball is made of Squeezable polyurethane foam. 4" x 2-3/4" x 2"
Bulk / 20 lbs / 200 pcs. / 24" x 14" x 15" box. Imprint Area: 1.125" x 0.75"